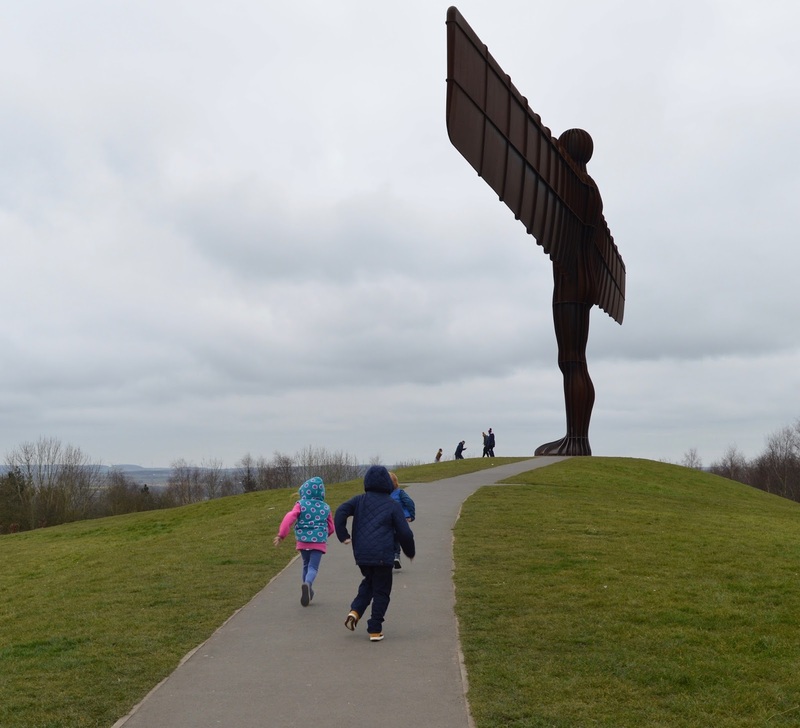 Today I am sharing some of our favourite days out from over the years across North East England. We're so lucky living here as there is always just SO much to do. 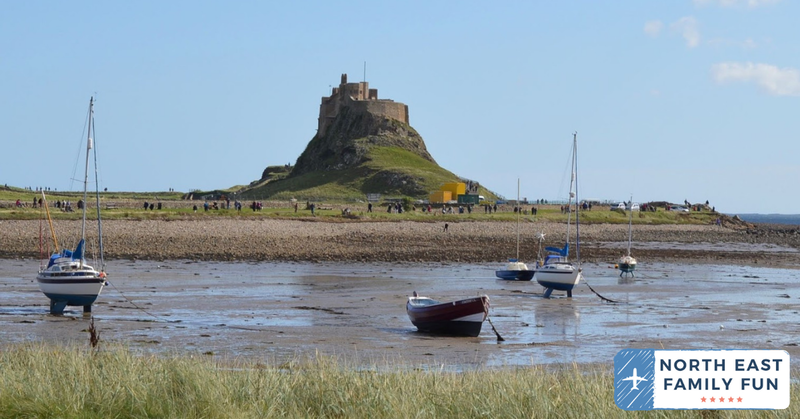 For more ideas, make sure you join my North East Days Out Reviews Facebook group. Click here to read reviews featuring over 50 days out across North East England. Fire and Ice is an annual festival in Durham. 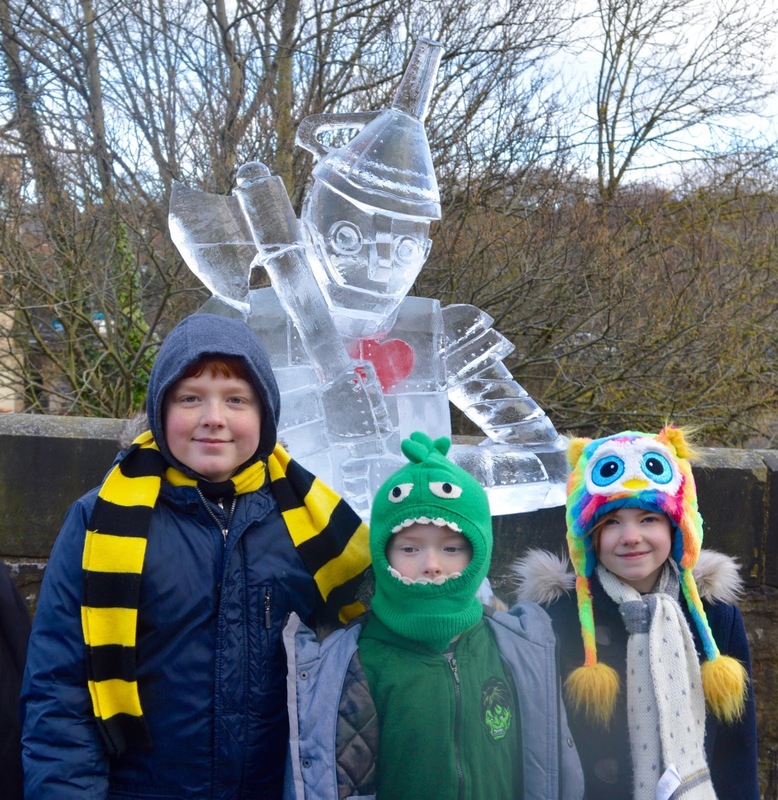 Taking place across a weekend in February (22-23 Feb 2019), the free trail has a different theme each year. There are magnificent ice sculptures to discover and activities to try. It's always a good day. Check out my full review here. 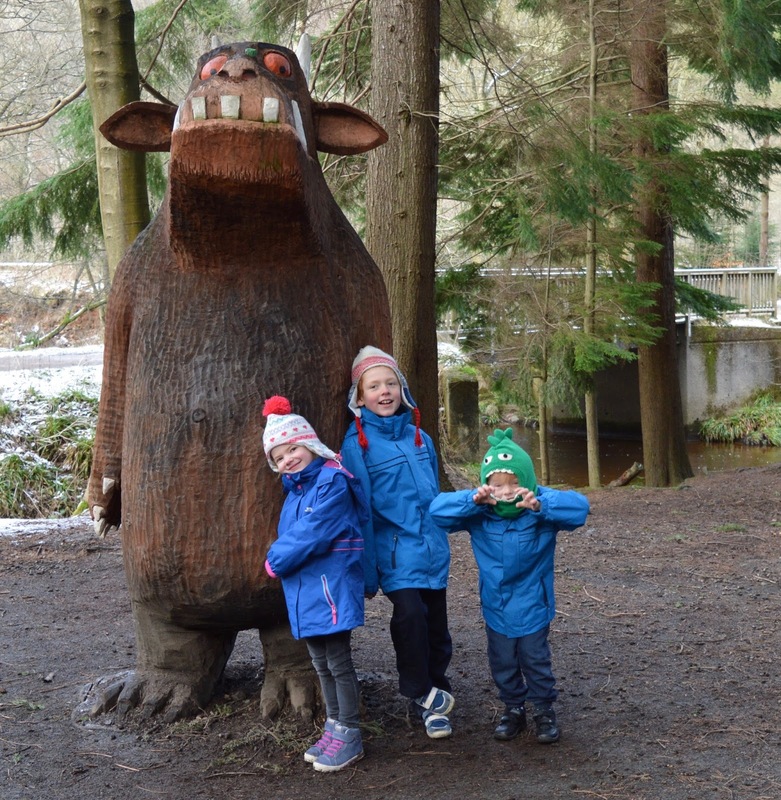 The Stick Man Trail at Hamsterley Forest is lots of fun for children, especially if they're fans of the Gruffalo. The easy forest trail is a superb way to stretch your legs and get some fresh air - you'll spot the Gruffalo and the Gruffalo's child, take part in mini activities and join in with the adventure play equipment. Lots of fun and lots to explore - highly recommended. Read our review of the Stick Man Trail here. A farm shop isn't somewhere you would normally find on a list like this but we think that Moorhouse Farm Shop is pretty special. 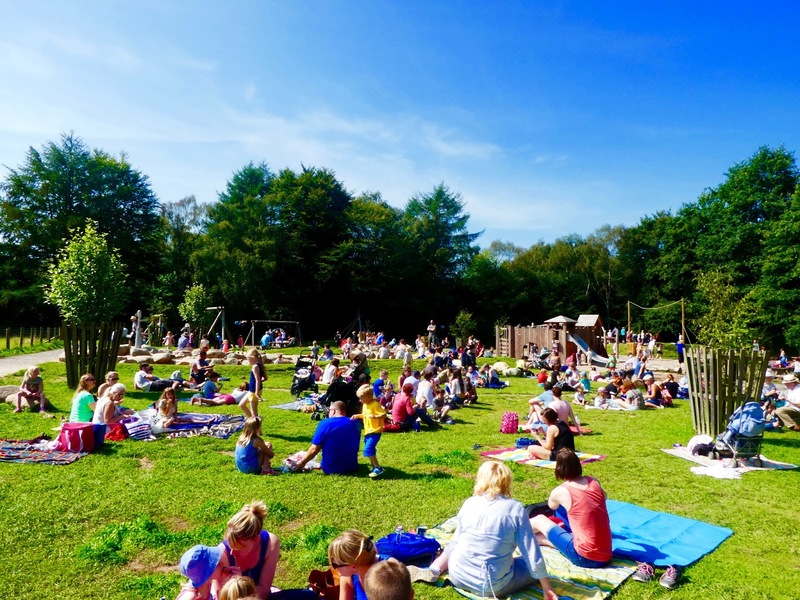 There's a small play park for kids, an indoor play barn with sandpit and building blocks, a place to search for gold plus a chance to meet the animals. The staff are always super friendly too. 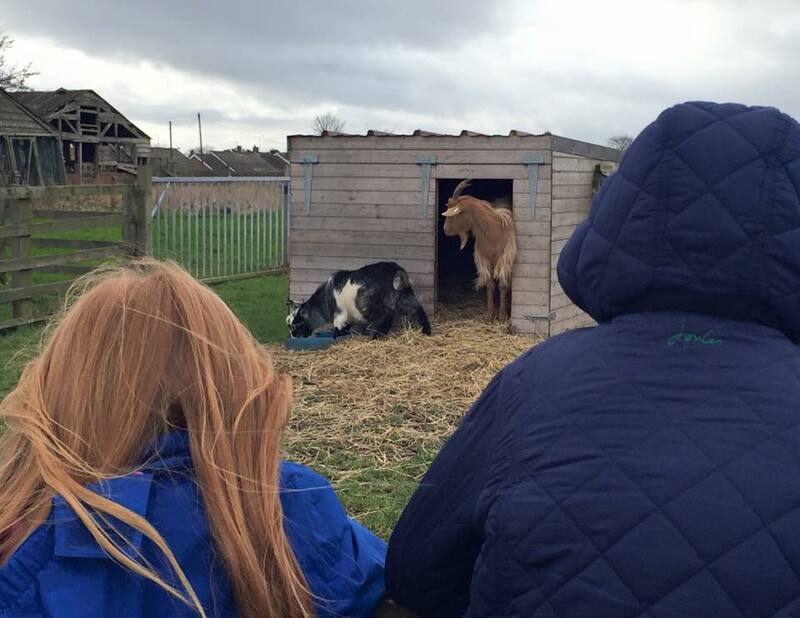 Read our full review of Moorehouse Farm Shop here. 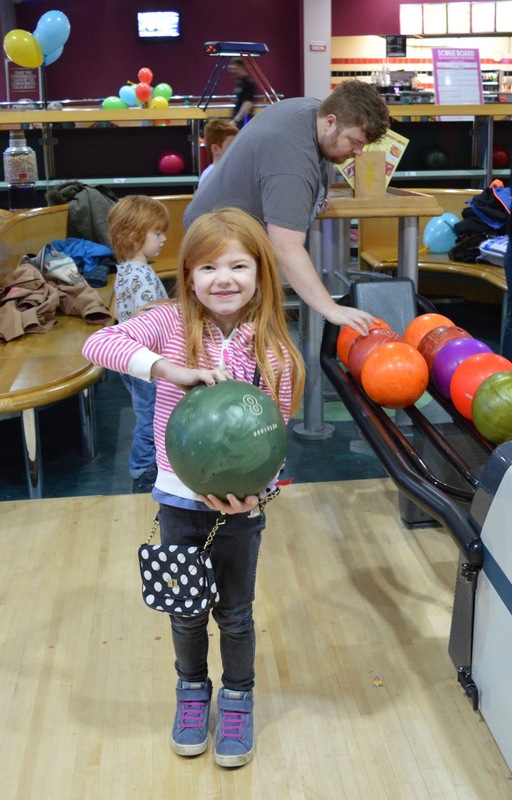 Bowling is a pretty standard family activity but we have found when it comes to bowling with kids, AMF Bowling have really got it right. From a member of staff setting the screen up for you to stickers and special treatment when you get a strike, we loved our experience and it is definitely worth a visit. Read our full review of AMF Bowling Washington here. The Angel of the North and Saltwell Park are both FREE to enter so all you need is the cost of your bus ticket for this adventure. We had lots of fun exploring Gateshead and both of these places are fab for kids to let of steam. Read our full review of our trip to Gateshead by bus here. I think we've been to Beamish 3 times this year and loved every visit. Their special events are superb and every time we visit we discover something new. I think the horses of war event was our favourite this year - if your family love horses, look out for it in 2017. 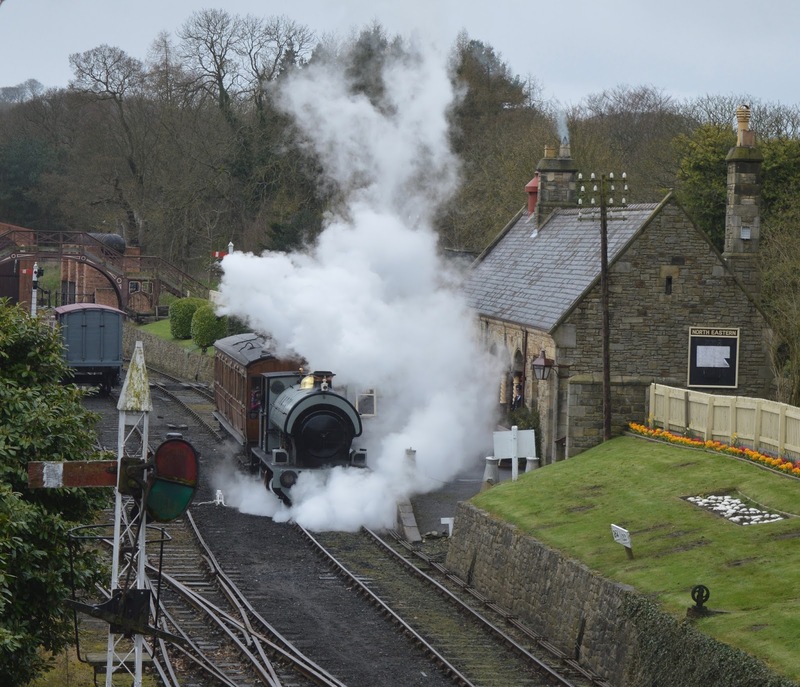 Read our full review of Beamish here. I would never have considered going to a kite festival if we hadn't been invited along by English Heritage but I am so pleased we went along. It was a glorious day and such a lovely place to enjoy a picnic in the fort and watch various kites dance to the accompanying music. There was a chance to make our own kites too. I would definitely recommend pencilling this festival into your diary. 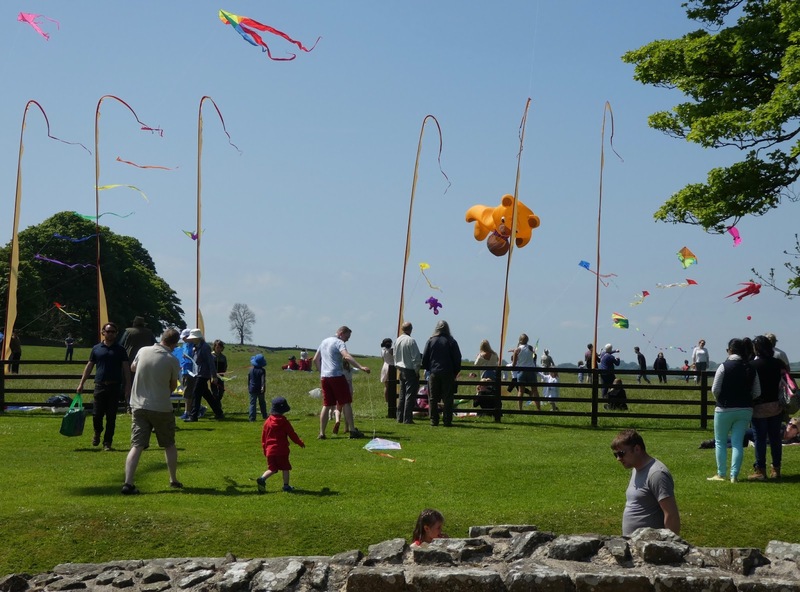 Read our full review of Hadrian's Wall Kite Festival here. 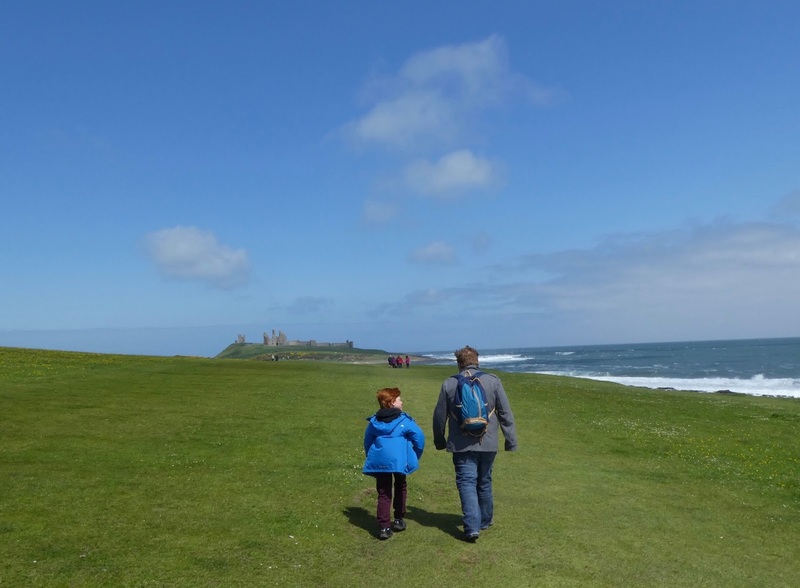 One of our favourite days out that we enjoy every year is the walk from Craster to Dunstanburgh Castle. The walk is suitable for little legs and you'll spot lots of nature along the way from wild flowers to crabs in the rock pools and you might even have to walk past a friendly herd of cows. 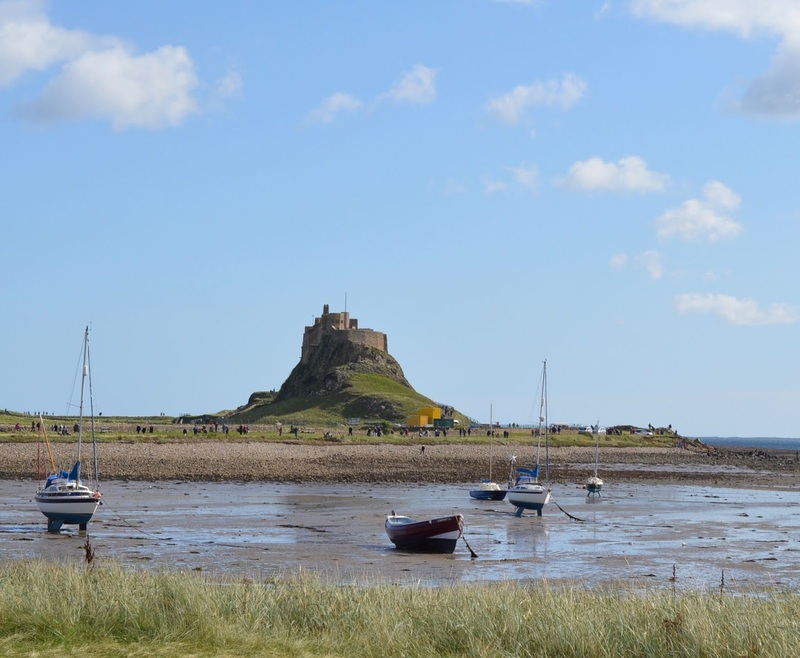 The views of the Northumberland coast are simply stunning! Read more about our family walk to Dunstanburgh Castle here. The Labyrinth at Cragside is not for the faint-hearted. At times I did wonder if we'd ever escape. The kids LOVED the adventure though and you'll discover a magical musical box right in the Labyrinth centre. Read our full review of the Labyrinth at Cragside here. Gibside is one of our favourite places in the North East and we always make a point of visiting over summer. 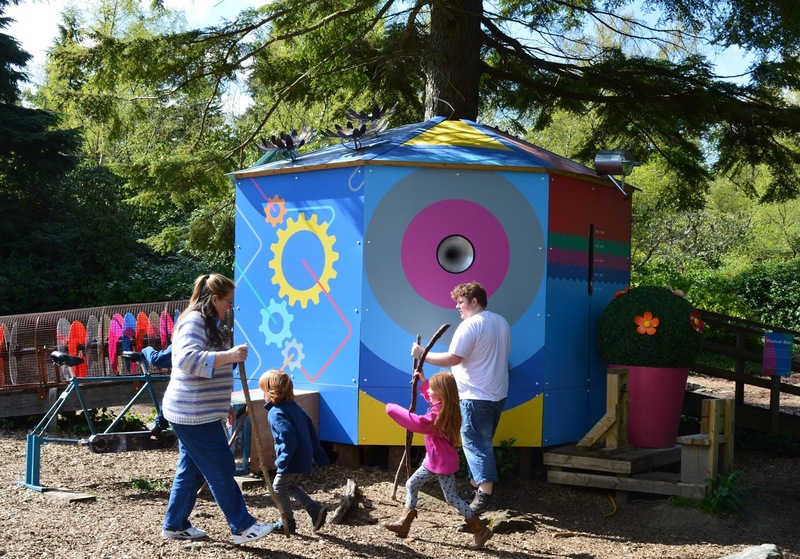 Their strawberry castle play area is fantastic for kids young and old with wooden forts, tunnels and zip wires. It's a fab spot for a picnic. There's usually extra activities included in the school holidays too (we planted our own salad box this summer) and there are lots of walks around the estate if you need to stretch your legs. Read our full review of Gibside in the summer here. 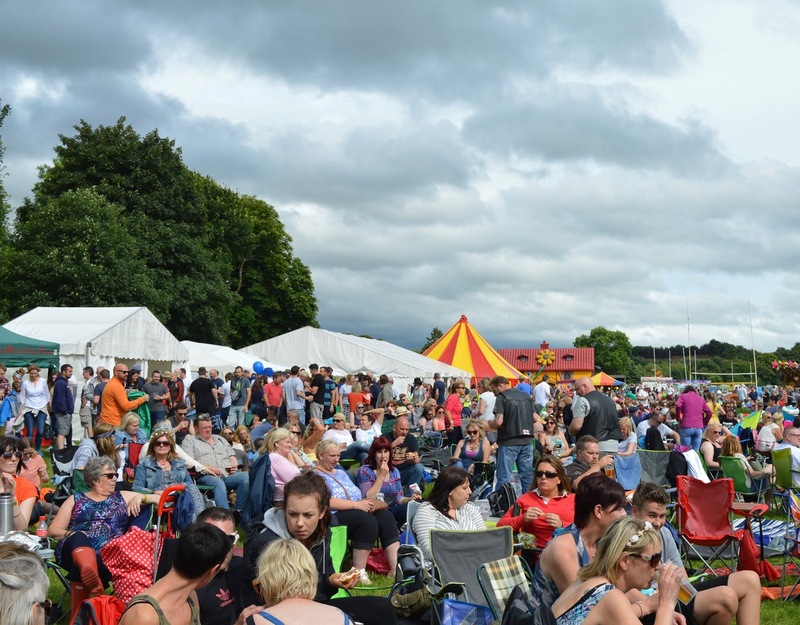 The Corbridge Festival isn't a festival that particularly markets itself at kids, however it is cheap and it is family friendly with a children's fun fair, circus and activity tent. This was our first experience of taking the kids to a festival and we really enjoyed it. You can't beat letting your hair down and dancing around with family (and strangers). Read our full review of the Corbridge Festival here. A shopping centre isn't somewhere I would normally plan to take my children in the school holidays - in fact it's somewhere I'd probably avoid! However intu Eldon Square ran some fantastic FREE kids activities this year and we joined in with most of them. Highlights for us were meeting Wonder Woman and Superman and Easter Crafts. 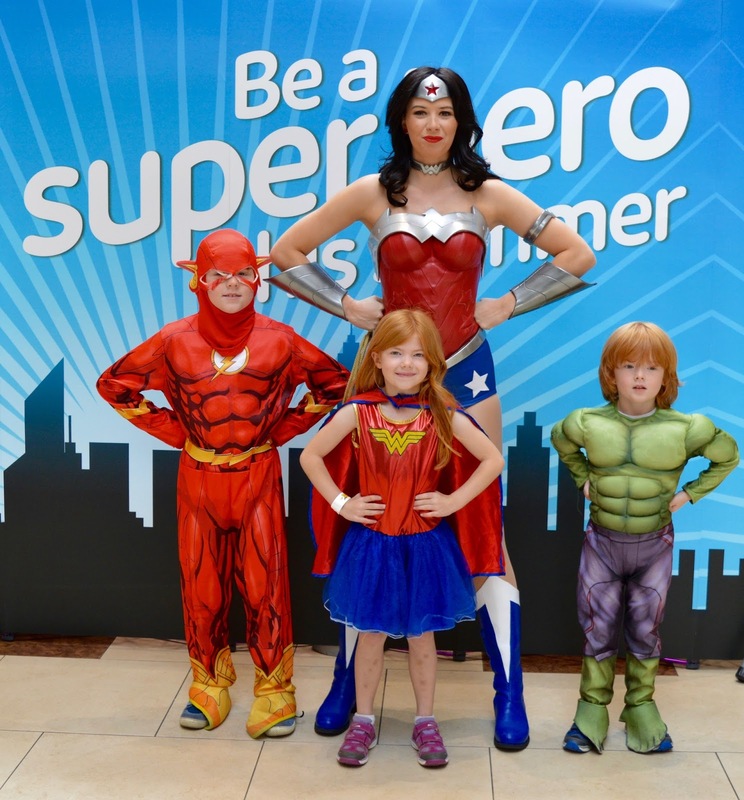 Read more about us meeting Wonder Woman at intu Eldon Square here. I can't believe we'd never been here before! We managed to get a fab deal on groupon so it was less than £10 for the 5 of us. The kids loved it and it was great fun, in fact Heighley Gate Garden Centre is fab for a look around. There's a cafe and a 'wildlife' zone too and they run regular events for kids. Read our full review of Dinosaur Golf at Heighley Gate Garden Centre here. 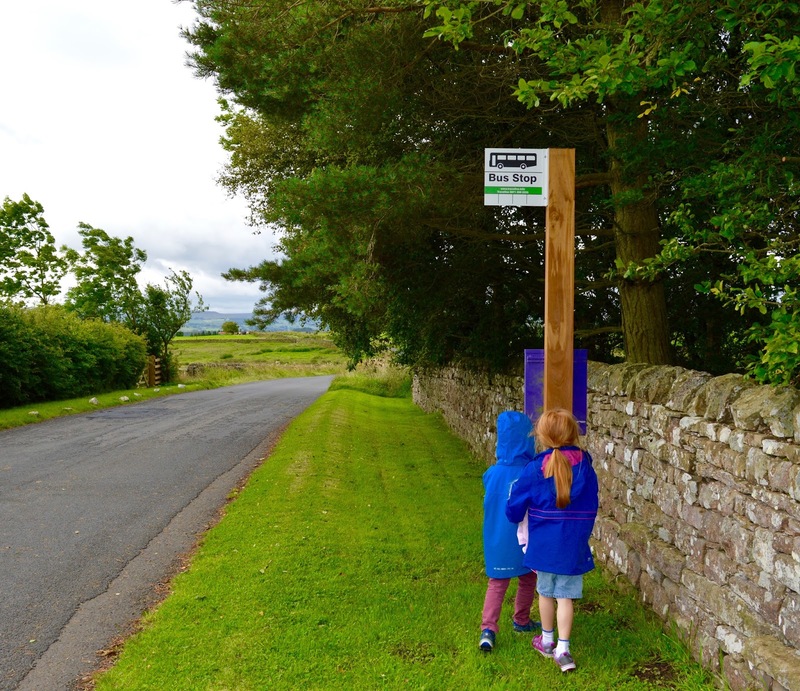 In the summer we enjoyed an epic adventure taking in most of the Hadrian's Wall sites by bus. The AD 122 runs between most of the main attractions and we enjoyed visiting the Roman Army Museum, Sycamore gap, Vindolanda and Twice Brewed Inn. Read more about our trip to Hadrian's Wall by bus here. With free parking, a visitor centre and cafe, a picnic area and access to a beautiful unspoilt beach and lakeside walks, a visit to Druridge Bay is always a good place to visit if you aren't looking to spend lots of money. 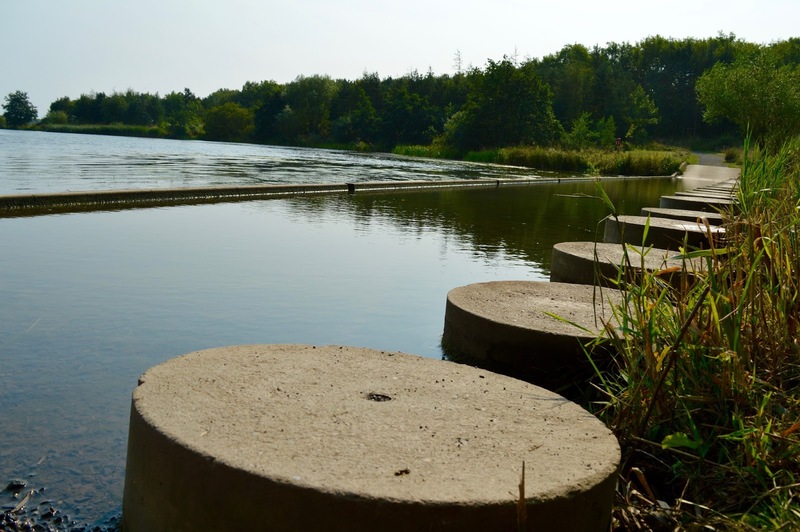 We love the walk around Ladyburn lake and the kids really enjoy jumping over the stepping stones. It's a fab place to spot wildlife too. Read more about our trip to Ladyburn Lake here. Entry to Preston Park Museum is only £5 per family and this gives you access for a full year. There's a skate park, walled garden, lots of grass, an adventure playground, an orangery tea-room, a Victorian street plus a fun museum. 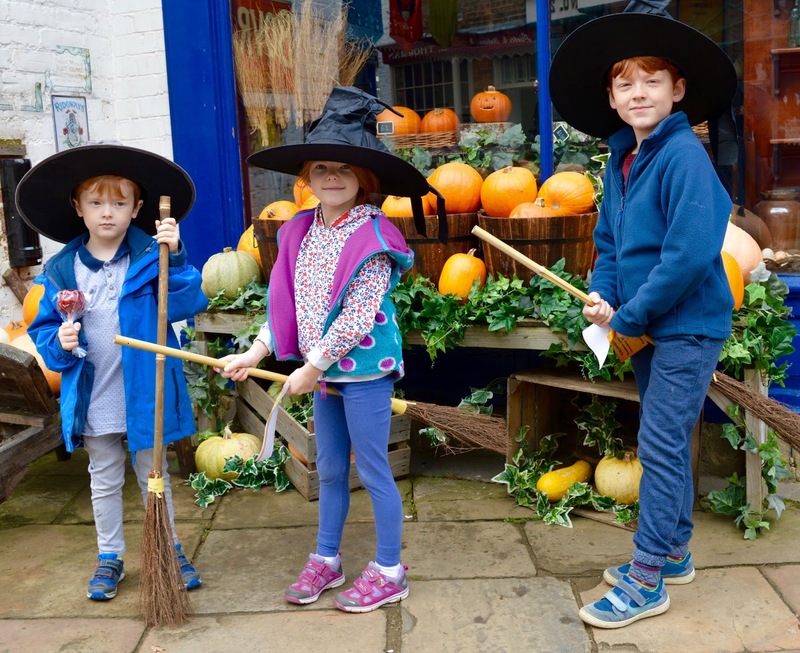 Preston Park's Victorian Street was transformed into the North East's very own Diagon Alley over half term and we enjoyed a fantastic day out - definitely recommended. Read our full review of Preston Park and Museum here. 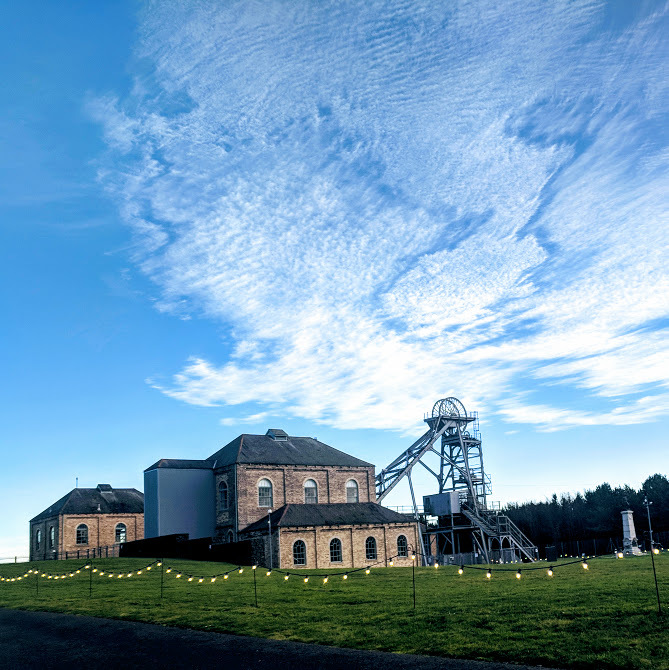 Woodhorn is one of our go-to days out. They change their exhibitions regularly, there's a small mini train ride, a fantastic play park, skating in winter plus crafts and trails over the weekends. We love it here. We've paid a fortune to visit Father Christmas in the past but this grotto has changed my mind. Santa was fun and friendly, the elves were super smiley and helpful, there were activities in the queue to keep the kids entertained and they all left with a Playmobil gift. Just because something is free definitely doesn't mean it is rubbish. 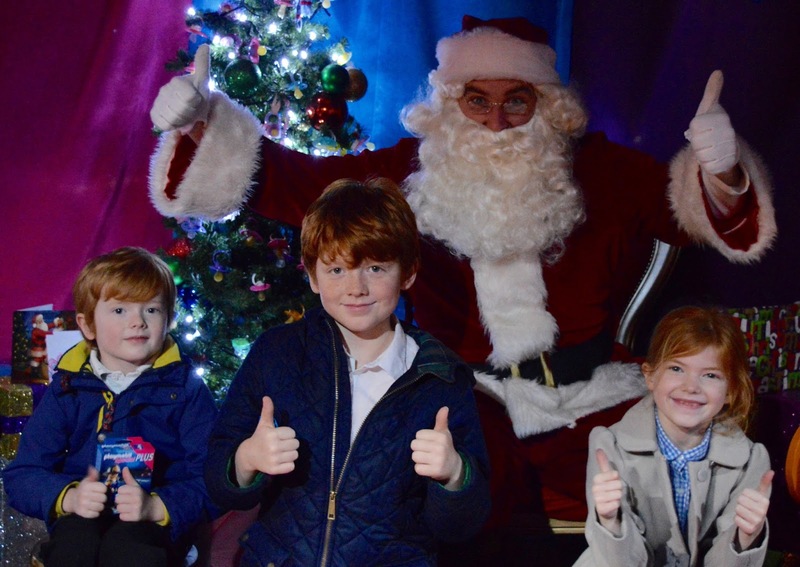 Read our full review of Santa's Grotto at intu Metrocentre here. I think this was possibly our last day out of 2016? It was a good one though. 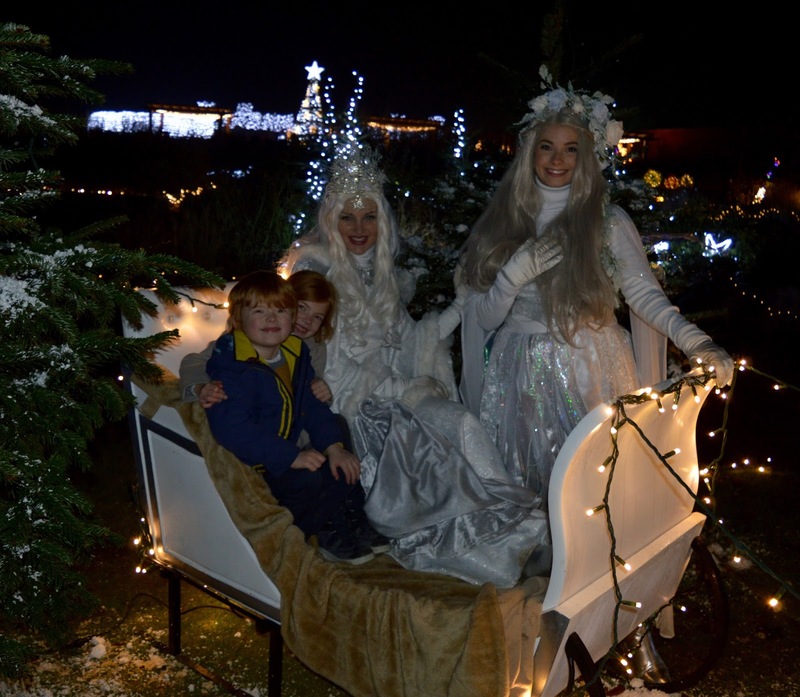 The lights were beautiful and we loved the extras such as visiting Father Christmas and a ride on the teacups. We really loved Wynyard Hall Garden's and will definitely be keeping an eye on their future garden events. Read our full review of Wynyard Hall Gardens here. If you're looking for more ideas for days out, please add yourself to our North East Days Out Facebook Group here. It's a lovely little group where people can ask for suggestions and post recommendations. What a brilliant post! it will definitely inspire us to get out and about to blow the festive cobwebs away. There's a few on here we haven't been to such as Ladyburn lake and Moorhouse farm shop, and haven't been to Preston Park since Imogen was a baby. We loved the Grufallo trail too and Beamish is always a hit! Moorhouse Farm Shop is just up the A1 for you - can't believe you haven't been. Can you believe I've only done 9 of your 20 before! I'll have to tick off a couple more this year. 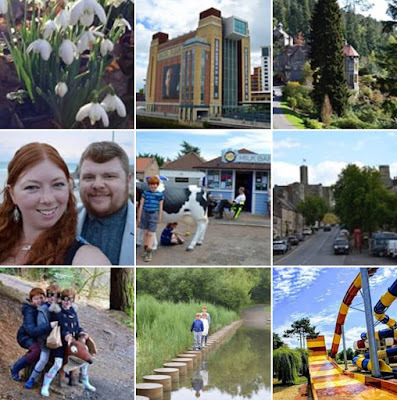 Preston Park is too of the list I think, then Cragside as I've never taken the kids there even though we are NT members. As Gibside is on our doorstep we end up there a lot, but I'll definitely make the trip this year.